Call us at (415) 664-3089 today. We have been providing quality eye care to San Francisco's West Portal District for almost 60 years. 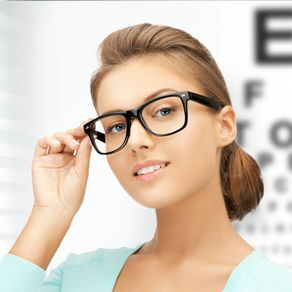 Our goal is to provide you with the very best optometric care in a warm and personable setting. During your appointment, you will receive a thorough vision and eye health evaluation by our experienced optometrist, Dr. Bruce Mebine. We utilize our state of the art equipment, including fundus photography and retinal tomography to diagnose, manage and treat eye diseases such as diabetic retinopathy, macular degeneration and glaucoma, when necessary. We specialize in fitting standard and specialty contact lenses including a range of options for patients with Kerataconus and scarred corneas. 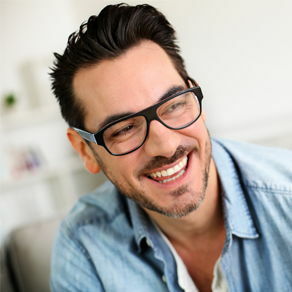 For patients who wish to slow the progression of near sightedness, we also offer Corneal Refractive Therapy (CRT) which is a non-surgical option that treats myopia during sleep. Our newly remodeled optical dispensary carries over 1000 fashionable and classic frames. Brands available range from Chlo, Gucci, Ray Ban, and Oakley to Lafont, Siluette, and many, many more (see Frame section for more details). We only use the highest quality materials available in order to provide our patients with the best possible performance and vision. Please give us a call today to schedule your appointment, or book online using our web interface. We are lookin forward to helping you with your vision needs! Dr. Bruce Mebine grew up in San Francisco in the Sunset District. He received his Bachelor of Science and Doctor of Optometry degrees from the University of California at Berkeley. He took the practice over from his father, Dr. Loran Mebine, in 1969. He has been a clinical professor at the UC Berkeley School of Optometry since 1983. Marilyn Overbay was born and raised in San Francisco. Dr. Bruce Mebine is her brother. She has worked in the Optometric field for over 50 years. Marilyn graduated from Abraham Lincoln High School. She received all her initial training from her father Dr. Loran Mebine. Marc, our Optician, was born and raised in New York. He graduated with a Bachelor of Arts degree in biology from City University of New York. Marc moved to San Francisco 11 years ago. He has spent 30 years in the optical industry, including managing both retail and wholesale operations. Grisel graduated from the Art Institute of SF, CA where she obtained her Bachelors of Science degree in Interior Design Architecture. She is the assistant to our office manager, Marilyn, in our administrative department. Grisel applies her passion for interior, graphic, & fashion design into our frame consultations, marketing, and advertisement. She loves to embrace her Mexican heritage and practices her native language, Spanish, as much as possible. Rosie has been part of our administrative department for over two years. Since both of her parents are opticians, Rosie is very familiar with the industry since she was a teenager. Rosie grew up in Daly City, CA and graduated from Westmoore High School. During her time off she enjoys music, dancing, shopping, but especially spending time with her son and family. Dr. Enos was the first in his family to go to college. He received his undergraduate degree from UC, Berkeley then went on to earn his doctorate at the State University of New York College of Optometry in New York City. He returned to the Bay Area where he had the pleasure of providing eye care to our nation’s veterans during his residency at the VA hospital right here in San Francisco. It was there he received extensive training with UCSF faculty on managing glaucoma, macular degeneration, cataracts, diabetic eye disease, and various other ocular diseases. Dr. Enos prides himself in providing thorough eye care with emphasis on patient education so you can fully understand your eye health. Dr Enos is currently serving as the president of the San Francisco Optometric Society. When not seeing patients, you may see Dr. Enos climbing at a SF rock climbing gym, on the ski slopes, scooting around the city or climbing a mountain somewhere. "I had two pairs of glasses made here with my old frames, and loved the personal service and care. Recently a screw fell out of my prescription sunglasses and I couldn't find one to fit, so I dropped in and they handled it kindly and immediately at no charge. It may seem like a small thing, but it was a big deal for me! Thank you!" "They take really good care of you here. The doctors and staff are very good and friendly. They have a very wide variety of frames to choose from. I love there personal and professional service. Thank you to all." "The doctors are really nice and very helpful. I've been with these guys for a couple years now and they haven't disappointed at all. +1 I'll be back next time I need new glasses for sure"